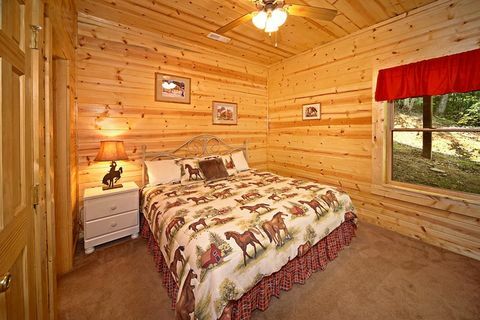 Pigeon Forge Cabin With Pool Access - "Cowboy Up"
"Cowboy Up," a 5-bedroom Pigeon Forge cabin with pool access, rests a little under a mile off the action-packed Pigeon Forge Parkway. 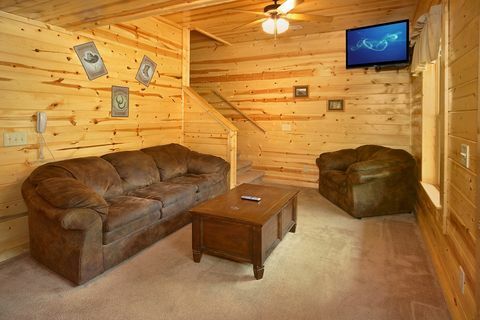 This makes this cabin the perfect choice for the family looking to enjoy the mountain air and the area's attractions! 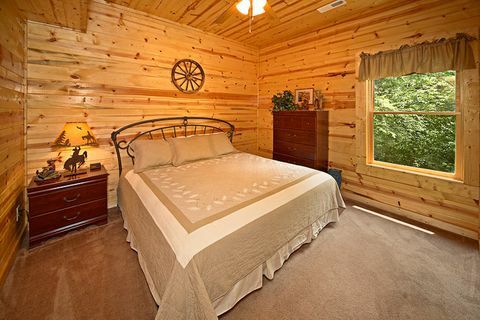 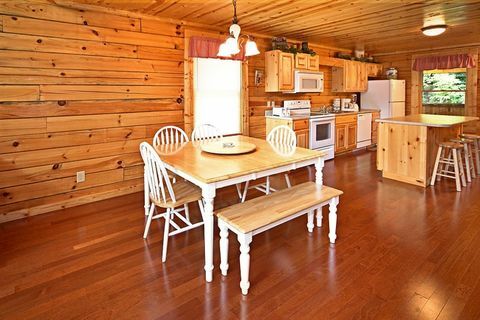 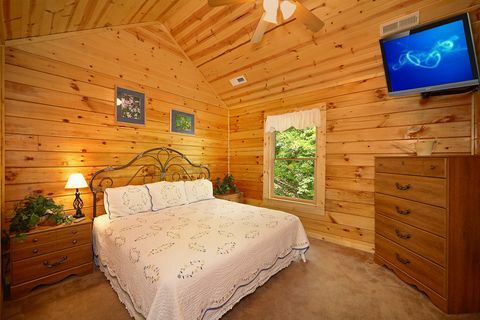 This warm, inviting cabin is located in Mountain Park Resort in Pigeon Forge, accommodates up to 14 guests, and offers a superb cabin experience that allows you to enjoy the beauty of the smokies and a comfortable cabin interior. 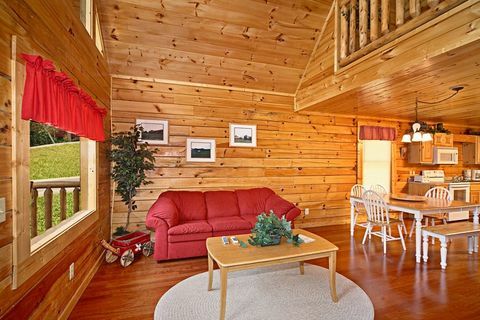 There's plenty of opportunity to enjoy the splendor of the mountains at your cabin abode. During the humid East Tennessee summers, take advantage of this cabin's resort swimming pool access and catch a break from the heat. 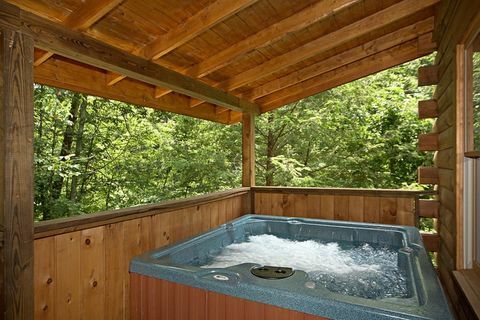 Throughout the year, you can soak away your cares in the large hot tub on the covered deck. 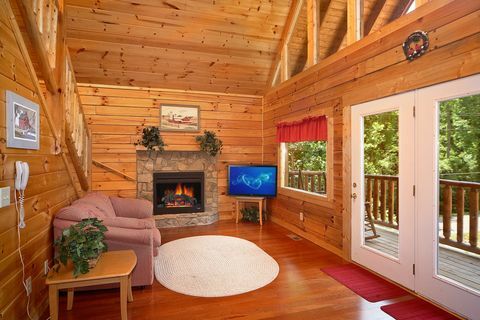 In the winter, come in from the cold and gather around the warmth and ambiance of the living room's electric fireplace. 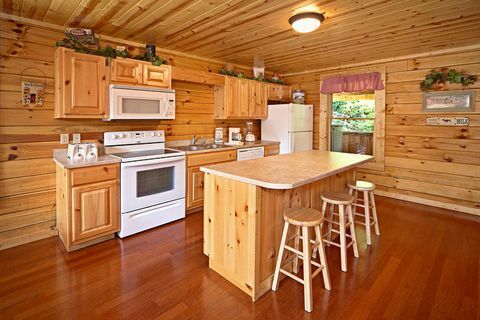 There's also plenty of opportunity for entertainment at your cabin. 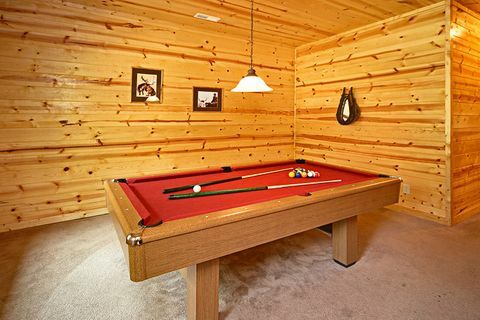 Enjoy some fun, family competition when you host a family billiard tournament on the game room's full-sized pool table. 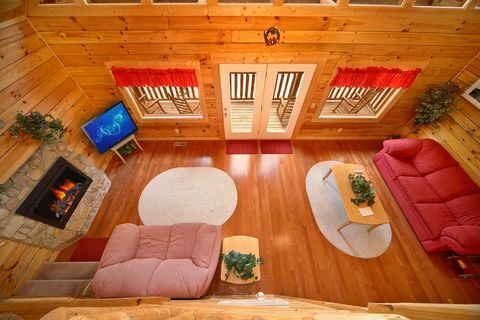 The WiFi Internet lets you stream movies and games as well as keep friends and family updated about all the fun you're having on vacation. 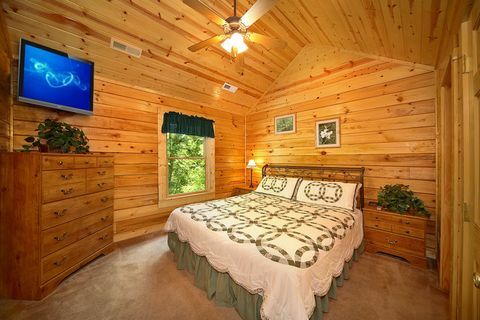 At the end of your day of adventure, you'll want to rest up for your next day of fun. 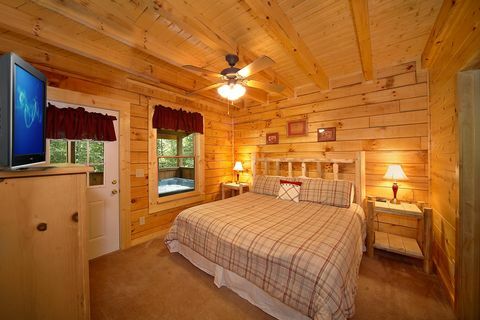 Every guest can enjoy the comfort of a king-sized bed in one of your cabins 5 king suites. 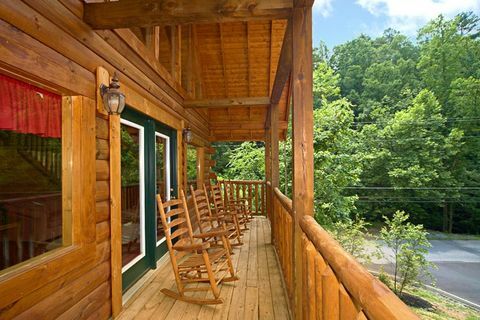 It's time your family stepped from the ordinary to the extraordinary with a log cabin vacation in the Tennessee Smoky Mountains! 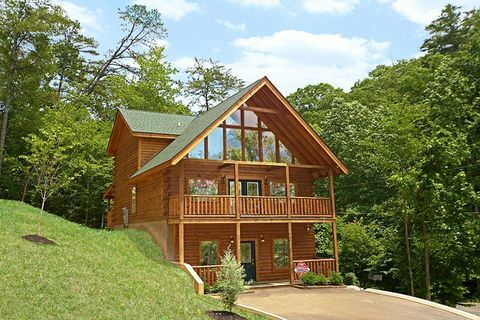 Book "Cowboy Up" or another Pigeon Forge cabin with pool access online to get your immediate 15% Online Cabin Discount!